The TM/R-2A wireless remote wall mount timer system was developed to provide a safe, reliable and user-friendly wireless remote wall mount timer for gas fireplaces. Its battery operation allows the system to operate independently of household current. The system operates on radio frequencies with non-directional signals. 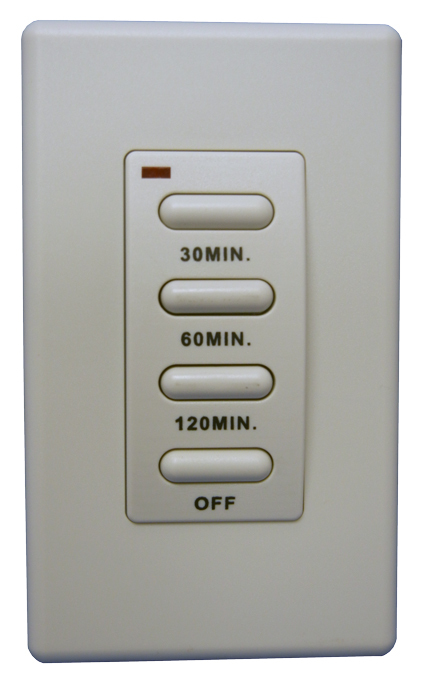 This wall mount timer features Off/120 minutes/60 minutes/30 minutes intervals.